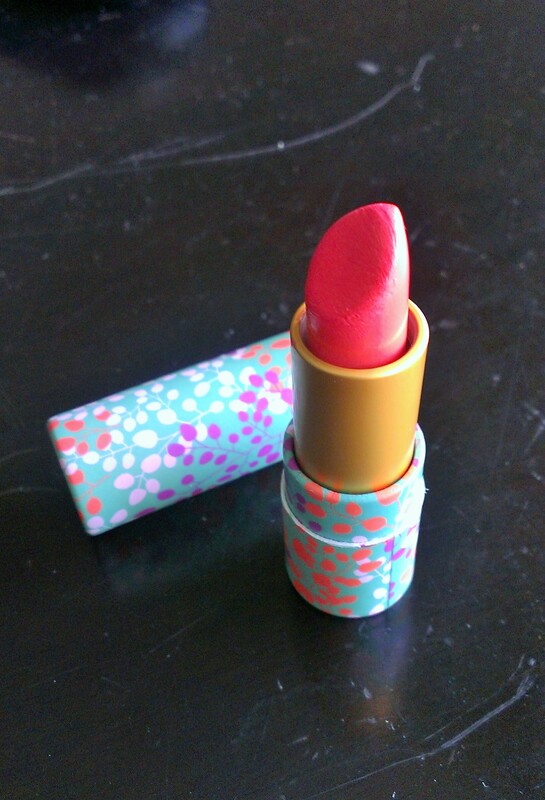 I’ve been eyeing this lipstick for a few months now, but I never got around to pick it up! Now that the weather’s been warming up and spring is finally here with bright sunshine, I figured that a cute coral lip colour was totally needed. 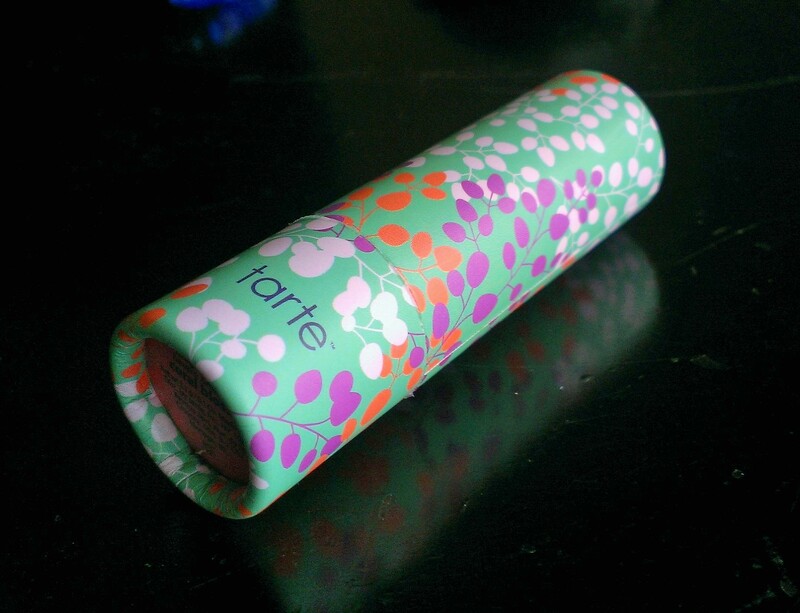 Okay, first thing’s first… How adorable is this packaging?! The tube is wrapped in beautiful, high-quality paper that reminds me of Japanese washi paper even though it’s inspired by the vibrant colours and patterns of the Amazon. What’s even cuter is that each different shade has a different pattern, too! 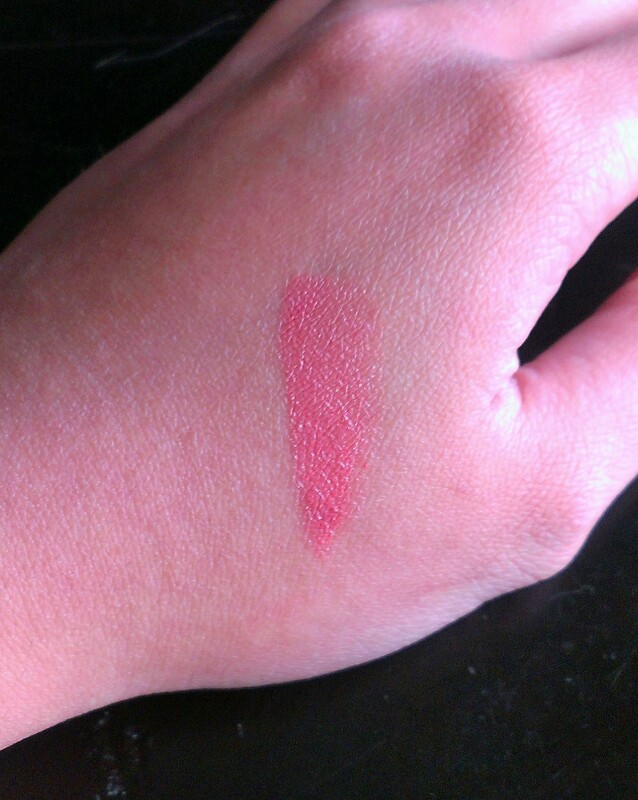 I picked out Coral Blossom, which is a lovely salmon/coral pink with a touch of golden shimmer in it. It’s perfect for the spring sunshine! It lists jojoba seed oil, Candelilla wax, shea butter, carnauba wax, peppermint oil, Murumuru seed butter, and some sort of flower seed butter as part of their ingredients, along with a plethora of other chemicals to keep it solid and lasting. It looks so cute on me, but I think I had some sort of reaction to it! It felt really tingly when I first put it on and I was assuming it was for the “plumping effect” that it was supposed to give. Then, my lips got completely dry and chapped, very much like when I got wind burn over the winter! The skin keeps flaking off and I’m guessing it might be the peppermint oil that Tarte claims to cause the plumping effect! NOOOOOOO! I let my poor lips recover with my EOS lip balm and then tried again without any bad effects! Hopefully, it really was just the super windy weather and not the plumping effects. Do you have a go-to coral that you use? What’s your favourite lipstick? Isn’t it?! And it was reasonably priced at $19 for a higher-end brand! I’m so tempted to get another one, too.